Alion Science and Technology has appointed Steve Schorer as its new president and CEO, following the retirement of its previous CEO Bahman Atefi. 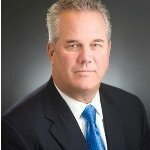 Schorer has had a long career in the aerospace and defense industry, having held leadership positions with DynCorp, DynAviation, L-3 Communications, DRS Technologies and Camber Corp. His tenure officially begins May 19, while Atefi, who has served as Alion’s president and CEO since 2002, will be vice chairman of the company’s board of directors going forward, according to Alion. Schorer was president of DynCorp from 2011 to 2013 and returned to DynCorp to serve as president of DynAviation from 2015 to 2016. He began his career at DynCorp in 2009, when he served as president of Global Platform Support Solutions. Before joining DynCorp, Schorer was president of the Command, Control, Communications and Intelligence Segment within DRS Technologies, from 2003 to 2008, and was president and general manager of the Ocean Systems Division within L-3 Communications, from 1998 to 2003. Mark HuYoung of Northwind Partners praised the appointment Thursday, saying Schorer had earned valuable experience in both growth and turnaround scenarios for private-equity owned and publicly-held entities over his nearly four decades in the aerospace a defense industry. Veritas Capital, which has held Alion as a portfolio company since 2015, said it was excited to welcome Schorer to the team. Musallam also said Veritas was happy to retain Bahman in a different capacity following his retirement as CEO.